While Alan Ebenstein's biography of Friedrich Hayek was the first biography of this major twentieth century thinker, the book itself was not - per se - an intellectual biography. 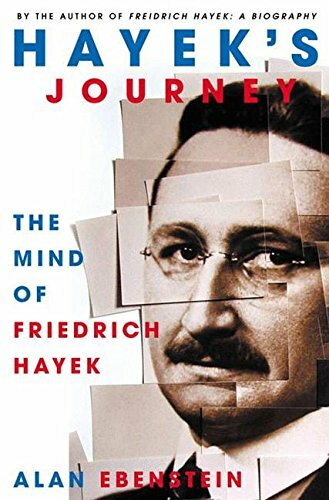 Hayek's Journey will be the follow-up volume that will give readers an in-depth look at the evolution of his thought, the influence of the Austrian School of Economics, the roles of Wittgenstein, Freud and Kant in his thinking; his relationship with Karl Popper, etc. This will become a classic of Hayek scholarship by the author credited with writing the first biography of a man who is now widely-regarded as a seer in relationship to the course of the twentieth century.